If anyone is to visit the “Land of the Rising Sun” with Yampu, they must be prepared to see The Best of Japan! This magnificent country is saturated with modern technologies, traditional and cultural rich experiences, as well as culinary goodness that is incomparable to any other destination. Explore this Island nation by beginning in the capital, Tokyo, whose technological achievements thrive side by side with its traditional pastimes. Experience real sumo and learn of this ancient contact sport that is now a symbol of Japan before shopping along the extensive avenues. With the traditional Japanese accommodations offered outside of the city, sleep peacefully. Complete with onsens, or spas and hot springs, rest your tired joints from the excitement of the bustling city while in Hakone. Of course no trip to Japan is truly complete without a stop at historical Hiroshima, notorious for its destruction when the first atomic bomb was dropped over the city during the Second World War. Towards central Japan is Kyoto, one of Japans most major cities. Once the Capital of Japan, Kyoto is one of the best preserved cities in the country with its several thousand shrines, temples, and gardens. The only way to truly experience Japan is with Yampu’s extensive Best of Japan Tour where all of these magnificent experiences mentioned can be enjoyed down to every minute detail. Price includes domestic and regional flights within the itinerary; all hotel accommodations including daily continental or buffet breakfast and daily city tax; all transfers between airports and hotels with assistance and baggage handling; guided tours in English including entrance fees. Note; Prices are based on shared services, please contact a Yampu Travel Consultant for Private pricing. On arrival at Narita Airport, be met in the arrival hall by today's driver who will assist with the included transfer to the hotel (60 - 90 minutes). The remainder of the day is at leisure. The guide for the morning will meet at the hotel and take Yampu Travelers to the Ryogoku, the center of Japan's sumo world. As well as the Kokugikan Sumo Stadium, Ryogoku is home to most of Tokyo's sumo heyas. All rikishi (wrestlers) belong to heyas, or sumo stables, where they live, train and eat. Visit one of these heya to get up close and personal with these giant men and watch their asa geiko (morning training). The day begins in the early morning, when the lowest ranked men wake up and put in some practice before going about their assigned duties, which include cleaning the building and preparing the food for the main meal of the day. Higher ranked sekitori appear at a more reasonable hour, and they begin a practice session that runs from about 7am until about 10am. After several hours of warm up and technique practice, the wrestlers play an exciting "King of the Castle" game where one wrestler stays in the ring fighting bouts without any rest until he is defeated. After training, it is time to eat like sumo at a local restaurant specializing in chanko nabe. Chanko nabe is a Japanese stew with chicken, fish, tofu and vegetables. Whilst a very healthy dish, when eaten in sumo sized amounts it helps sumo to gain weight. Many of the restaurants in the area that serve chankonabe are run by ex-sumos. From Hakone, take the world famous Shinkansen bullet train, which reaches speeds of up to 300km/h. Next, change onto the Limited Express Hida Wideview for the one of the most scenic train journeys in Japan, winding through tall mountains and stunning gorges to Takayama. This afternoon, Yampu recommends visiting one of the town's many sake breweries for a taste of the local drop, its high quality due to the area's clean water sources. Travel by coach (1hr) to Shirakawago, and spend the day exploring this quaint mountain village. In the afternoon, continue on by coach to Kanazawa. Travel by train to Hiroshima (4 hours with one change in Shin Osaka). Enjoy the rest of the afternoon at leisure. Back on the Shinkansen to Kyoto (2hrs). In the afternoon, take part in a private cooking lesson. Japanese cuisine has such high reputation that it was declared UNESCO Intangible World Heritage. In this tour one will be able to try their hand in making some of the dishes that made this cuisine so popular in the world and in particular learn about Kyoto's typical kappo cuisine. In Japanese, kappo means to cut ingredients with a knife and cook them over a fire. At a kappo style restaurant, fine seasonal cuisine is served over a counter where diners sit face to face with a chef. In this class Yampu Travelers will be the chef! Today, explore the former imperial capital with a knowledgeable local guide, utilizing Kyoto's comprehensive bus system to visit some of Kyoto's World Heritage Sites. Start the day with a visit to Kinkakuji Temple (Golden Pavilion), which was originally built as a retirement villa for the Shogun. After his death it became a Buddhist Temple at his request, and is now one of Kyoto's most famous temples. Nijo Castle is an ornamental castle, built by the founder of the Edo Shogunate as his Kyoto residence and is surrounded by stunning gardens. The main building was completed in 1603, and is famous for its architecture, decorated sliding doors and 'chirping' nightingale floors. Take a walk down Nishiki Market, a narrow, five block long shopping street lined by more than one hundred shops and restaurants. Known as "Kyoto's Kitchen", this lively retail market specializes in all things food related, like fresh seafood, produce, knives and cookware, and is a great place to find seasonal foods and Kyoto specialties, such as Japanese sweets, pickles, dried seafood and sushi. Final stop today is Kiyomizu (Pure Water) Temple. From the 13m high veranda jutting out from the Main Hall one can enjoy amazing views of the whole of Kyoto, whilst pondering the fact that both the Main Hall and Veranda were built without the use of nails or any kind of joiners. Today is free until the included airport train to the airport for the flight home. One of the World’s most cutting-edge capitals, Tokyo is a city of contrasts. Famous for its cutting edge modernity, neon-lit landscape and towering skyscrapers, it is also home to sprawling parkland, peaceful shrines and temples and lovingly tended gardens. Despite its love affair with manga pop culture, fashion, high-tech trends and conspicuous consumption, below the surface is a city that has its roots in an ancient heritage. Shinto shrines and Buddhist temples stand close to skyscrapers as a reminder of a more contemplative time. Part of Fuji Hakone Izu National Park, Hakone is a prime holiday destination with a splendid view of the famous Mount Fuji, along with many other natural wonders, including 17 delightful hot springs. Walk around the open air museums, or relax and bath in the gorgeous springs and spas offered throughout the area. Explore the stunning area aboard a majestic replica pirate ship, sweeping across the volcanic Lake Ashi. With its plethora of temples, shrines, festivals, rivers and bridges the mountain town of Takayama has been called a “little Kyoto”. The region is an agricultural one, and every day the freshest of vegetables and fruit are brought by local farmers to Takayama’s lively morning market. Many unique traditions have evolved here, and due to the town’s previously inaccessible location high in the Hida alpine region, a remarkable number of them have been preserved. The district called San-machi Suji, the traditional home of Takayama merchants and sake brewers, has been preserved in almost exactly the same state as 200 or 300 years ago. Here, are inns, shops and taverns which trace their history back many generations. During the Edo Period, Kanazawa served as the seat of the Maeda Clan, the second most powerful feudal clan after the Tokugawa in terms of rice production and fief size. Accordingly, Kanazawa grew to become a town of great cultural achievements, rivaling Kyoto and Edo (Tokyo). During World War Two, Kanazawa was Japan’s second largest city (after Kyoto) to escape destruction by air raids. Consequently, parts of the old castle town, such as the Nagamachi samurai district and chaya entertainment districts, have survived. Today, the city boasts many historical attractions such as restored residences and districts, as well as modern museums. But Kanazawa’s unchallenged main attraction is Kenrokuen, one of Japan’s “three best landscape gardens” and by many considered the most beautiful of them all. Hiroshima is notorious for its destruction when the first atomic bomb was dropped over the city during the Second World War in August 1945. The destructive power of the bomb obliterated nearly everything within a two kilometre radius. From this absolute annihilation, Hiroshima has emerged phoenix-like, and become a beacon of hope and peace for the rest of mankind. Destroyed monuments of the city’s historical heritage, such as the Shukkeien Garden and the Hiroshima Castle, have been rebuilt. The city centre boasts a large recreational area named Peace Memorial Park that reflects the aspirations of this re-born city. Kyoto is the nation’s former capital, the residence of the emperor from 794 until 1868, and is Japan’s seventh largest metropolis. With 2,000 religious buildings as well as palaces, gardens and associated architecture, it is one of the best preserved cities in Japan and has been awarded UNESCO World Heritage status. Kyoto represents the “Japan of old” and beyond the high rise skyscrapers built as a monument to progress, the real monument to Japan’s historical and cultural past can be found in the city’s narrow alleyways where tea houses abound and kimono-clad geisha hurry from elegant function to function. Once the capital of Japan, dating back to 710, Nara is now a historic and cultural hub filled with ancient treasures for travelers to learn more about this country’s dramatic and rich history. Testaments to Nara’s ancient status consist of many of Japan’s oldest temples and pagodas. Visit the worlds oldest wooden buildings and Nara’s most celebrated Shinto shrine, all before making friends with the wild sacred deer that roam the area freely. Equipped with a refined interior, luxurious queen sized beds, fully equipped facilities, and a colonnade ceiling Atrium lobby. With a cutting edge style unparalleled in Japan Villa Fontaine Tokyo – Shiodome provides you with a stylish atmosphere for your stay. Hakone is a historical hot springs resort area in Japan and known as one of the popular places to enjoy great vistas of Mount Fuji and Lake Ashi. With easy access from Tokyo, Hakone is the perfect place to enjoy the relaxing pleasures offered by hot spring bathing resorts (Onsen), in traditional Japanese style. Located in the heart of downtown Takayama, the BEST WESTERN Hotel Takayama offers the comfort and convenience you are looking for. We are located within walking distance from all major tourist attractions, shopping centers, convenience stores with banking machines, post office, city hall, bus terminal and JR Takayama Train Station. Our attentive,bilingual staff takes pride in providing personalized service. Each of our rooms feature amenities such as AM/FM alarm clock, hairdryers, coffee and tea services to get your day going, desk/work areas, fax and modem connections, to keep you working, not to mention remote controlled cable televisions and mini-bars for after the day is through. Whether in Takayama for business or leisure the BEST WESTERN Hotel Takayama is the place to stay. Kanazawa, also called Little Kyoto fully maintains traditional Japanese culture and tourist must-sees like Kenroku-en garden, 21st Century Museum of Contemporary Art, and the Omi-cho Market. Kanazawa Tokyu offers guestrooms styled with a fine balance of traditional and modern aesthetics, reception hall sized for international conferences and parties, and Kaga cuisine restaurant. Also, access to Kanazawa is easier than ever with the Hokuriku Shinkansen. Hotel New Hiroden is conveniently located 3 minutes to the West of JR Hiroshima Station South Exit, within easy reach from the heart of the city. The hotel stands out elegantly beside the banks of Kyobashi River, one of the six rivers that flow through the city. Facilities include guest rooms, conference rooms, banquet halls, restaurants, and a bar as well. The hotel is perfectly suited for both business and tourist use. We warmly welcome your patronage to the Hotel New Hiroden. An 8-minute walk from Sanjo train station, this casual hotel in a modern, glass-fronted property is 1 km from Yasaka Shrine and 2km from the Nijo Castle and gardens. The straightforward rooms feature complimentary WiFi, tea, and coffee-making equipment, flat-screen TVs and mini fridges. There are 2 restaurants, plus a coin-operated laundry and a business center. Bike rentals are also available. SOUUNKAKU is Japanese Authentic Traditional Hotel called Ryokan, which is opened in TAISYOU 14.Experience hot springs coming from our private source, Seasonal Kaiseki Cuisine, and rooms with a grandstand view of the loevely sky and mountain ranges. Hida Takayama, located about 4 hours from Tokyo by train, is a popular sightseeing spot with local people and foreign visitors alike; a place where one can enjoy the atmosphere of a traditional Japanese townscape. All our rooms have a panoramic view of the Japanese Alps, and the interior decoration of our spacious rooms combines the gentleness of nature with an elegant atmosphere to evoke a unique, woodland atmosphere. All of our staff at Hotel Associa Takayama resort look forward to welcoming you to our splendid hot spring facilities, and eagerly await the opportunity to serve you our delicious dishes in one of our immaculate rooms. The affordable luxury accommodations of Hotel Nikko Kanazawa combine an elegant European atmosphere with the beauty of the four seasons. Business and leisure travelers will appreciate that the hotel is conveniently located in front of JR Kanazawa Station and within walking distance of some of the most famous tourist spots in Kanazawa, Japan. At 130m, it is the tallest hotel in the Hokuriku area. 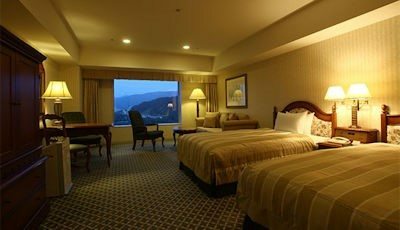 Grand Hiroshima Hotel is conveniently located in the city next to JR Hiroshima Station, with direct access to the bullet train and bus terminals. You’ll be in the middle of the energy and excitement of Hiroshima. Visit this city which has resurfaced as a beacon of hope since its demise in 1945. Destroyed monuments of the city’s historical heritage, such as the Shukkeien Garden and the Hiroshima Castle, have been rebuild. The city center boasts a large recreational area named Peace Memorial Park that reflects the aspirations of this reborn city.